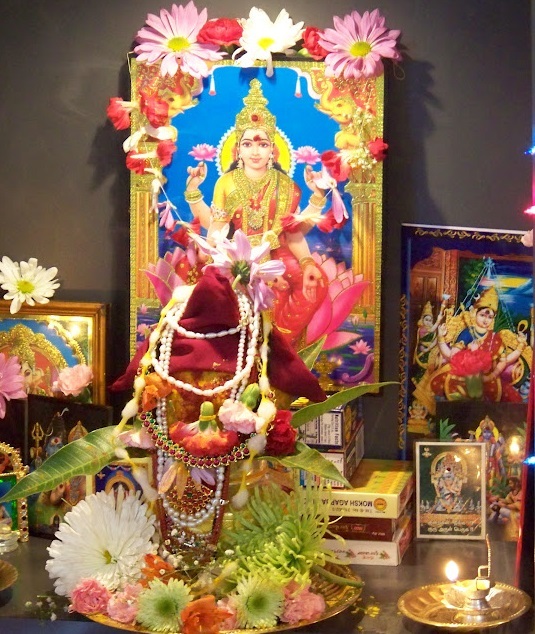 Varalakshmi Vrat is the most celebrated in India during Shravan month. 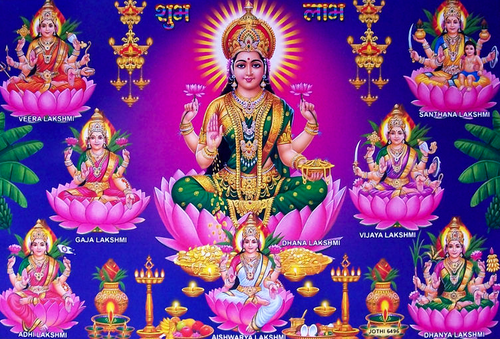 Varalakshmi Puja day is one of the significant days to worship the goddess of wealth and prosperity. 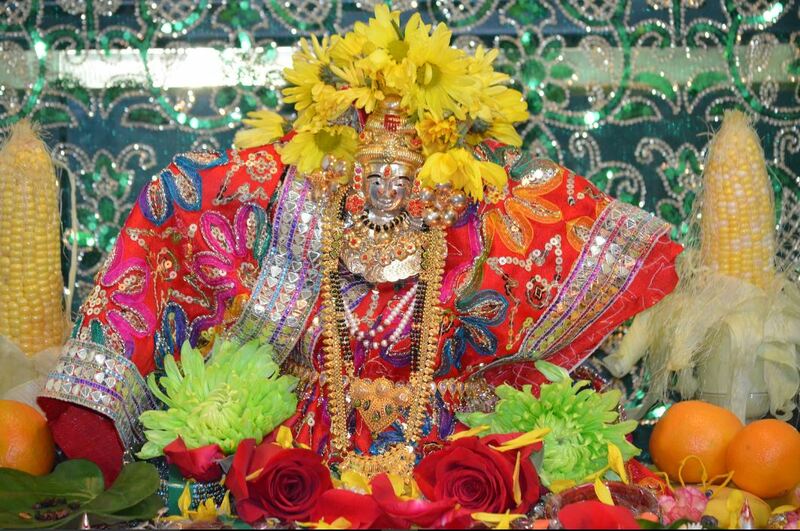 Varalakshmi, who is the consort of Lord Vishnu, is one of the forms of Goddess Mahalakshmi. 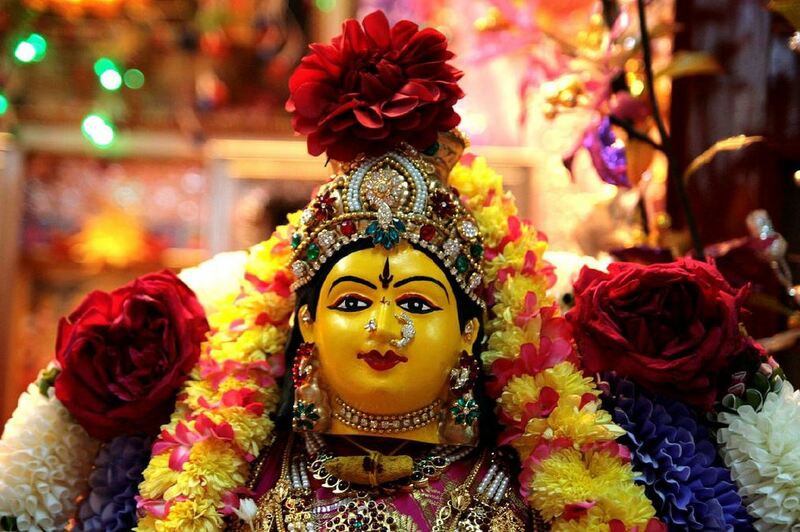 It is believed that the Varalakshmi form of the goddess bestows boons and fulfills all desires of her devotees. Hence this form of the goddess is known as Vara + Lakshmi i.e. Goddess Lakshmi who bestows boons. Padmaasane padmakare sarvalokaika poojithe, narayana priye devi supreeetha bhava sarvadaa. 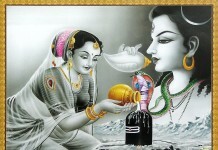 Visualize the Goddess Varalakshmi in mind and offer flower or akshathai to kalasha. Thereby we invoke the Goddess in the idol or image. Badnaami dakshiNe hasthe navasoothram shubha pradhaam, Puthra Pauthraabhi vrudincha sowbhaagyam dehi mey rame. Evam sampoojya kaLyaaNeem varalakshmi swa shaktitha, Daathavyam dwaadashapoopamvaayanam hidwijathaye. After performing Thorabandhanam, offer Vayanam to the Goddess. Then, offer to other marriedwomen. Indiraa thaarako bhabhyam indiraayai namo namaha. Take theerham and prasadam and also distribute among other devotees. After the completion of the Varalakshmi Pooja, the coconut which is used on the top of the Kalasham should be broken and thewater in it should be thrown to any plant like Tulsi or any other flowering plants which are away from the stamping of human. The biodegradable waste like flowers, turmeric,kumkum, and many other material should be thrown in a well or in nearby fresh flowing water whichare not stamped by human. Celebrate the Vara Lakshmi Vratham in 2017 with sheer joy and enthusiasm to get the blessings of Varalakshmi. Happy Varalaxmi Vratham 2017! Next articleDo You Know Why Ganesha Is Worshipped First?